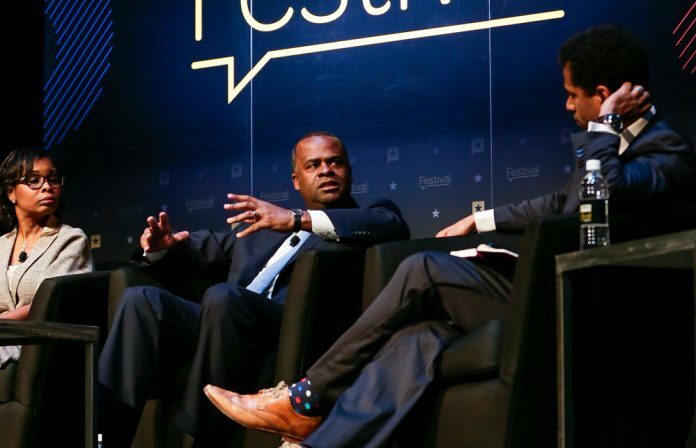 Not long ago, Kasim Reed was in public with Ambassador Andrew Young, who for years has served as a mentor to the 47-year-old mayor. The two men were having a conversation when a bystander—a young black man—interrupted to ask for a photo with the mayor. Reed hesitated, not wanting to break off their discussion. “Go and take that photo,” Young said, explaining to Reed something Young had learned long ago from his own mentor, Dr. Martin Luther King Jr.: Anytime a person of color asks for a photo with you, you do it, because the more positive examples for them, the better. We were sitting backstage of the Hogg Memorial Auditorium on the University of Texas campus in Austin. 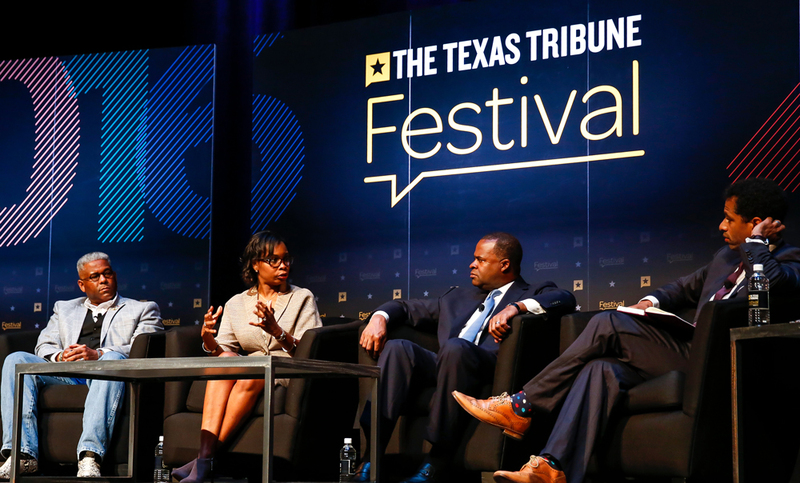 Reed had just finished an hour-long panel at the Texas Tribune Festival, somewhat reductively titled “The State of Black America.” Reed was joined by Allen West, a former Republican congressman from Florida who grew up in Atlanta, and Ivy Taylor, the first African American mayor of San Antonio. Touré, the author and cultural critic, moderated. I say “moderated,” but there was nothing moderate about how Touré pushed back against West, who was not in friendly territory. “We have to trust the rule of law,” said West, in response to the civic unrest that’s arisen from police-involved shootings of black men. That’s when it got interesting. Afterwards, while Ted Cruz took the stage to defend his endorsement of Donald Trump, Reed spoke with me about his priorities for the final 15 months in office, the prospects of Georgia going for Hillary Clinton, and when he plans to endorse a candidate in the mayoral campaign to succeed him. How involved do you plan to get in the mayoral election? I plan to stay out of the mayoral election until there’s a run-off. Then I’m going to engage as any citizen would. At that point, I will make how I feel known. That’s my plan. I think there are so many people running that it wouldn’t add value [to get involved before then]. What are your top priorities for your final year in office? Most people view the high-water mark in Atlanta as being the Centennial Olympic Games when $3.5 billion was spent. But we have a $6 billion program just at Hartsfield-Jackson. We have a $2.5 billion MARTA referendum, which I’m reasonably confident that we’ll pass. Then we have a city that has a $2 billion budget, with two budgets left. We have Renew Atlanta, and we have the transportation referendum program. If you total that up, it’s more than $10 billion. I think that my obligation really is to make sure that my team stays focused. I designed my term to be in the position that it is in now. We are spending 75 to 80 percent of our time on execution. The programs that we’re executing are critical to what Atlanta is going to look like for the next 10 to 20 years. There is no question that Atlanta is ascending. 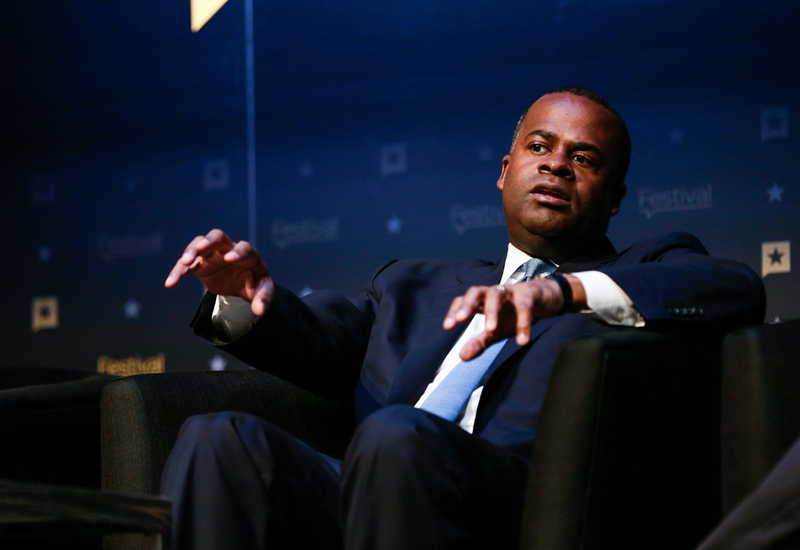 Polls show 67 percent of Atlantans think we’re on the right track. That’s a flip of what the national trends are in terms of right track, wrong track. My job approval is as high as it was at the beginning of my term. Then you have the $300 million reservoir project that’s going to be the Bellwood Quarry Reservoir, which will be the center of a park that’s almost twice the size of Piedmont. There are enough activities to fill every single minute of every day, just on execution. The initiatives that you’re going to be writing about over the next year and a half are going to be driven by my administration, whether you’re talking about Mercedes-Benz stadium, whether you’re talking about Turner Field, whether you’re talking about Underground Atlanta, whether you’re talking about the Civic Center. I’m also going to be focused on equity and fairness. Atlanta is becoming successful so fast that if we really don’t push the issue of equity and inclusion into the center of our conversation, and make sure that it’s a big part of the upcoming mayoral campaign, then we’re going to lose our ability to avoid affordability issues—issues that have hit New York, Chicago, and Los Angeles. The bully pulpit of the office is highly effective. We’ve got to figure out how to replace about 14,000 affordable units that are coming offline. I plan to use a combination of the Atlanta Housing Authority, the Atlanta Land Bank Authority, the Atlanta BeltLine, and Invest Atlanta, all of which I have significant influence over, to focus on that affordability issue. What’s your benchmark for success in that segment in terms of equity and fairness? The criteria is making sure that we use [city-owned property subject to development] in a way that we can have a variety of incomes that can move in. The city and our related entities are the largest real estate owner in the city. As real estate values increase, you’re going to be able to have relationships with developers where you make a demand in exchange for our putting the land in. That’s the opportunity. I’m convinced that most people in Atlanta agree that that’s the path forward. It won’t be hostile. It will be a deal that looks like [Post Properties CEO] Dave Stockert’s in Centennial Park, where they have 441 units going in at [monthly rental] rates from $3,000 to $4,000 a month, but they have 42 going in at a thousand dollars a month. Just think of the family that’s going to live in that building. The city has $8 million in incentives in that transaction. That should be happening all over Atlanta, because that’s what we’re all about. It’s about having a shot. I think we’re going to make that the model, and I think it’s going to have to be the model, in order for all of these millennials to continue to have some place to live, and in order for Atlanta to avoid much of the racial strife that you’re seeing in other places. Turning to the presidential election, how do you explain Donald Trump’s surge nationwide in the last month? Yeah. People were saying that. But that stopped. He put in place a team of competent professionals. He starts to look like a normal candidate. That brings the party back. Donald Trump’s growth has been among Republicans. He now has his party back. At the same time, we experienced a bit of instability around ours. I thought that’s what killed a massive gap. Secretary Clinton’s margins, we got numbers [Friday]. Her campaign is right around where President Obama was with Mitt Romney at this point. Then we had some challenges around her health. Then real hard hitting stories around emails. That kind of took our euphoria out. Georgia was thought to be in play at some point. Where do you see it? I think Georgia is in play, but Georgia cannot be won without a significant surge in resources that exceeds seven figures. Democrats can’t win Georgia without spending more than a million dollars. I’m not going to be a part of the false narrative of “It’s definitely in play, it’s definitely winnable.” It was the second closest state that President Obama did not win. I think that we are more progressive than North Carolina. I disagree with my friends within the Clinton campaign that believe that North Carolina is more progressive. I actually think North Carolina is becoming more conservative than Georgia. Is that another false narrative—that North Carolina is more winnable for Democrats than Georgia? I don’t think that North Carolina, if given equal resources, is a better target for where things are today, than Georgia. I see my role as being an advocate for my state. Georgia is going purple. It’s just which cycle? Everybody agrees that this is an important moment for our state. It’s why I’m hopeful we can get the resources that we need. I was at a meeting at the Clinton campaign last Monday. They’ll make the resource decisions for the final push probably on Wednesday or Friday of this week. I’m sensing you’re frustrated [regarding the lack of resources in Georgia]. No, I’m not frustrated. What you’re sensing is my approach to campaigns. We’re in a campaign that’s a real grind. Races like this are just like being in a real tough boxing match. It’s just unpleasant for 12 rounds, but if you do your part, you should prevail. Would you be open to a position in a Hillary Clinton administration? No. I want to return to the private sector. I plan to run for office sometime in the future. I view this moment as the best time for me to secure the future for my family. I think that if I finish up as mayor in a strong fashion, with the record that we’re building in my administration, that I’m going to be able to do well in the private sector. But not for governor next time? No, I’m not running for governor next time. So what changes after you leave the mayor’s office? I’ll continue to contribute. My view of politics and leadership is that political roles give you a moment to have a bigger impact. All of the things that I’m curious and involved in and love as a mayor, I’m going to continue to feel that way as a private citizen. I just won’t have the outsized impact. Political jobs just give you the ability to amplify what you’re already passionate about and what you already care about. The difference between me and you is, if you see an area that you think would be terrific greenspace or a park that should be converted, or crime that should be reduced, you might care about it, but I get to call the police chief or the parks commissioner. Are you going to miss this? I don’t know anybody who’s been mayor who doesn’t miss it. I’m friends with Mayor Bloomberg, who is one of the richest people in the world, and I think that he would tell you that he misses being mayor of New York everyday. It’s one of the greatest jobs in the world. If you talk to Ambassador Young, he’ll tell you the best job in his political career was being mayor of Atlanta. If you talk to Willie Brown, the former speaker of the California Assembly, he’ll tell you he loved being mayor of San Francisco more. When you wake up every day, you have the city as your canvas. You’re literally moving through this living entity, seeing things that you can actually do something about in a dynamic way. How will you keep your hands on the levers of power and influence? I don’t plan on trying to. I plan on entering a different phase of my life where I’m going to focus more on making sure that my family is in a strong position for a long time. I’m not going to try to live that dual life. I’m going to go back to the private sector. I’m going to make sure that my successor has time and space to be the mayor of the city of Atlanta. There is one mayor at a time. I believe that, and I’m going to live my life in that fashion.